Ask Questions. Build Knowledge. Discover Strengths. To ask and to listen are two of my favorite activities. It is what we do at Gallup. Our robust research has helped us to cull through thousands of questions to find the most predictive and reliable data to use to help people gain new insights and solve problems. Through our strengths resources and tools, we can accelerate learning more about the best in our colleagues, our students, and ourselves. In my own life, I have always loved questions. I love thinking of new ways to ask questions. And I’m especially fond of asking young people questions so they know we are on their side and want to help them pave a pathway of possibilities. Here’s what I know about asking young people questions: It matters. When you ask a young person to share a highlight of his or her day or a hope for the future, you are showing care and concern. Don’t worry about the eye-rolling or silent treatment when you first ask. There are many positive protocols that become systematic as others realize that we really are interested in who they are and how they excel. 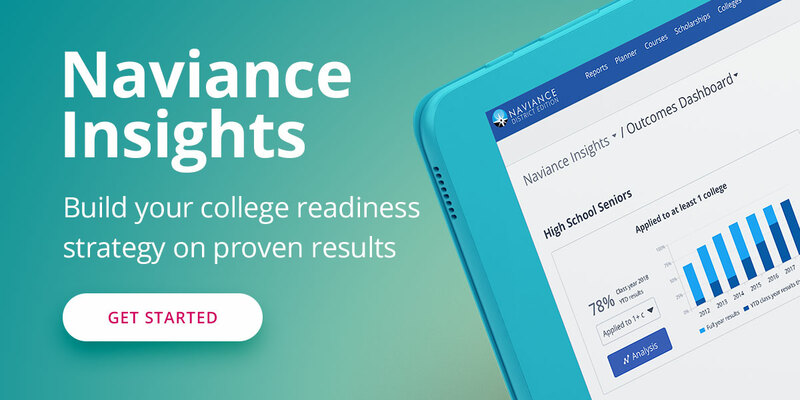 Students using Naviance, the college and career readiness platform from Hobsons, are able to discover their best assets through Gallup’s StrengthsExplorer® assessment. Hobsons’ analysis of the Naviance Class of 2015 showed that the five most frequently occurring strengths in this population were: Future Thinker, Competing, Relating, Dependability, and Organizer. Engaging students in what they are interested in and where they excel can lead to better student outcomes and ultimately students’ ability to reach their full potential after high school. And, it’s to the advantage of adults to understand their own strengths as well. The Clifton StrengthsFinder® assessment for adults helps each of us learn more about who we are, rather than who we are not. When adults understand their own strengths and interests, they can help students realize their best multipliers for success. One of my top five Signature Strengths is “Individualization”, so I have always been curious to find out more about each person I meet in order to know more about his or her unique story. Another strength of mine is “Woo”, which means I draw energy from initiating conversations even when I might be among people I don’t know. Each and every one of us has patterns of thought, feeling, and behavior that we could refer to as our talents. Investing in those talents and adding knowledge, skills, and practice to those talents builds our strengths. For more information on best practices about strength-based development for school educators, staff and students, download our webinar.